SALPET - short for ‘Salmon for Pets’ - is a range of supplements for dogs and cats, made from Atlantic Salmon sourced from the crystal clear ocean waters of Tasmania. 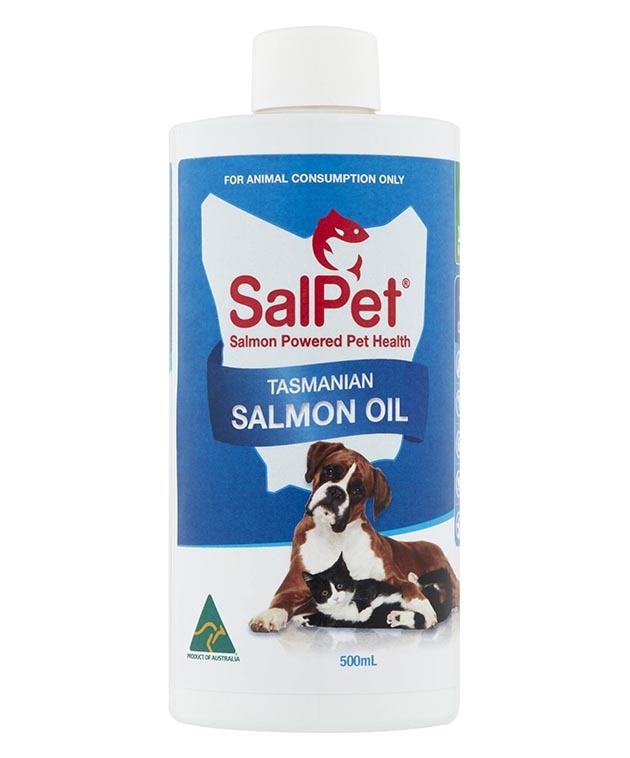 An Australian first, SALPET Tasmanian Salmon Pet Supplements are a 100% natural and made in Australia product and it's also a great sustainability story as the entire range is using Tasmanian salmon to help make Australia’s 4.8 million dogs and 3.9 million cats healthier. SALPET is the brain child of ex Tasmanian Salmon industry executive, Gregg Flower as the company he worked for and wider salmon industry sought sustainable ways to utilise as much of the fish as possible. Gregg also witnessed dog and cat owners feed their pets sardines, fresh salmon and even buying them fish oil tablets from their local chemist to ensure that they get enough Omega-3 fatty acids. He had seen similar products in both Europe and North America and SALPET was born. Marine sourced long chain fatty acids (EPA and DHA) are the most effective and beneficial source of Omega fatty acids. There are very few - if any - 100% marine based supplements for dogs and cats available in Australia, which is why pet owners seek alternative sources. 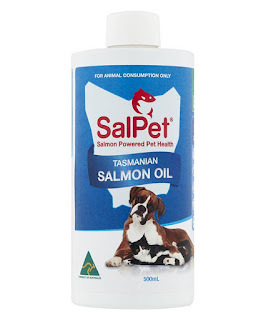 Biosecurity restrictions and protection of the local Tasmanian Salmon industry prevent the importation of salmon-based pet supplements into Australia. Available in bottles with handy pump dispensers to help measure the daily amount required depending on your pet's weight and to avoid any mess caused by spillage. RRP: $19.95 (200ml) or $39.95 (500ml). Available in 250 gram and 500 gram plastic jars which also include a convenient measuring cup. RRP: $39.95 (250g) or $59.95 (500g plastic jar). 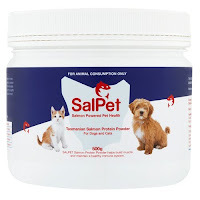 It is recommended that both SALPET Salmon Oil and SALPET Salmon Protein Powder are used once a day as part of your pet’s normal diet following the directions on the pack. 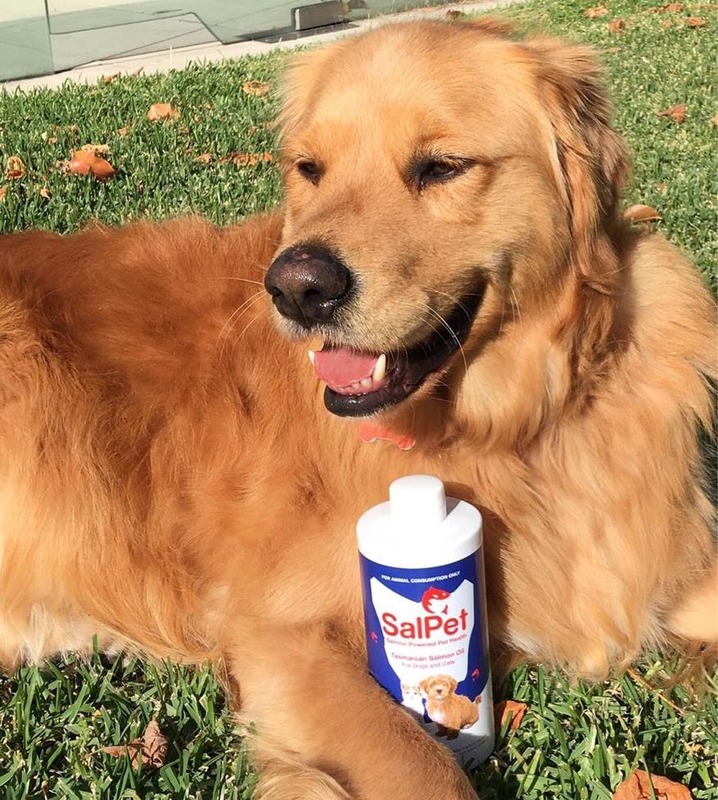 SALPET has been on exhibition at both the 2018 Melbourne Dog Lovers Show and 2018 Sydney Dog Lovers Show.